Tickets are $45.00, $35.00 and $25.00 and go on sale Friday, April 12th at 10:00am through Ticketmaster. Ticketmaster customers may log on to Ticketmaster.com. Tickets will also be available at the Mohegan Sun Box Office beginning on Saturday, April 13th at 10:00am, subject to availability. Latifah has had amazing success in Hollywood and became the first Hip-Hop artist to be crowned with a star on the Hollywood Walk of Fame in 2006. She received rave reviews, an Oscar nomination for “Best Supporting Actress,” a Golden Globe nomination and a SAG Award nomination for her portrayal as Mama Morton in Chicago. She also received an Emmy nomination, a Golden Globe win and a SAG Award win for her role in Life Support. Queen Latifah has earned six Grammy nominations as well as a Grammy Award for “Best Solo Rap Performance” in 1994. In 2004, she was nominated for “Best Female Rap Solo Performance” for Go Head. In 2005, she was nominated for “Best Jazz Vocal Album” for The Dana Owens Album and in 2008 she was nominated for “Best Traditional Pop Vocal Album” for Trav’lin Light. 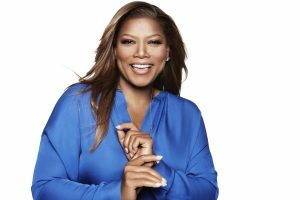 Most recently, Queen Latifah took to the stage and small screen performing as the title character in NBC’s The Wiz Live! Queen Latifah can currently be seen in Ice Age: Collision Course which will hit theatres in July as she returns to be the voice of the Wooly Mammoth, Ellie. Latifah made her big screen debut in Spike Lee’s 1991 film Jungle Fever. She starred in Set it Off, and co-starred in the critically acclaimed Living Out Loud. Following Chicago, she starred in and executive-produced the box office hit Bringing Down the House. Her additional film credits include The Secret Life of Bees, Hairspray, Mad Money, Just Wright, Joyful Noise, The Last Holiday, and Beauty Shop. In September 2013, Queen Latifah became the host of her very own talk show, The Queen Latifah Show, which she produced with partner Shakim Compere, and Overbrook Entertainment’s Will Smith, Jada Smith and James Lassiter. The Queen Latifah Show premiered for its second and final season September 2014. And then there’s Flavor Unit Entertainment, a production company owned and operated by Queen Latifah and Shakim Compere and is quickly establishing itself as one of the most important production companies in the film industry.